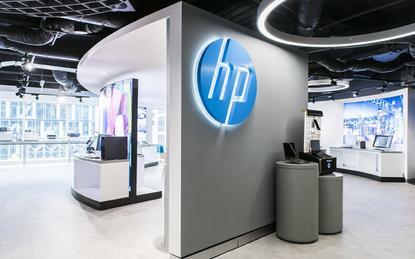 For a vendor famed for the creation of market leading PCs and printers, security prowess has seldom been associated with HP. Traditionally, this area of expertise has favoured the pure-play specialists, specialists built on the foundations of protection. Yet today, the tech giant is taking security seriously, tackling increased levels of cyber attacks with new solutions and offerings, delivered through the channel. “Post separation, we decided to lead in security,” said Paul Gracey, director of printing systems business South Pacific at HP, when addressing customers and partners during HP Evolution 2018 in Melbourne. Such determination gathered pace following the vendor’s split from Hewlett Packard Enterprise in late 2015, fuelled by a desire to address new customer challenges head-on through the creation of a Security Advisory Board. Established in September 2017, the new advisory board is designed to help HP stay ahead of market threats by bringing outside security experts into the company. As reported by Reseller News, a former New Zealand Government Communications Security Bureau (GCSB) engineer is one of the three security experts powering the new security advisory board. Justine Bone, who began her career doing reverse engineering and vulnerability research at the Kiwi security agency, joined board leader and former hacker Michael Calce, also known as “Mafiaboy”, and security consultant Robert Masse on the new body. Mafiaboy, the hacker responsible for one of the first, if not the first, distributed denial of service (DDoS) attacks in 2000 when he was only 15 years old, was appointed chairman of the board. After receiving his first PC at the age of six, Mafiaboy was nine years of age when he suffered from a “Punt”, a tool available at the time that someone used to take him offline for a period of time. That was his first contact with such a malicious type of technology, leading to the curious youngster finding out exactly what had happened - and crucially, how - before using the tool himself. As the teenage years arrived, a 13-year-old Mafiaboy was recruited by hacker group TNT but, as he explained, hackers were different then. This was an era when hackers were interested in knowing who was the best in the business, meaning they would hack each other in search of the coveted crown of world leader. But that was not enough for Mafiaboy. At 15, he created what the market now knows today as a DDoS attack. With no prior knowledge as to whether the attack would work, following meticulous preparation, he scheduled the breach to take place while he was in school. That was when Yahoo's website went down. The damage caused by his actions resulted in an estimated cost of US$1.7 billion to the businesses impacted by the attack. Maturing from Mafiaboy to Calce, the reformed hacker, or white hat hacker, now uses his expertise to prevent attacks instead of causing them. But when the call came from HP to work together, he was sceptical at first. “When HP came around and was interested in partnering, I'll be honest, I was interested but I was a little hesitant because I wasn't sure how involved they were in cyber security,” he recalled. Calce referenced HP SureStart, which uses hardware enforcement to ensure systems will only boot Genuine HP BIOS, alongside SureRecover, which quickly recovers the operating system whenever needed, throughout the lifecycle of the PC. Specific to printing, and of note to the channel, HP operates Runtime Intrusion Detection. Despite multiple vendors offering this solution, according to Calce, HP has innovated within the platform to improve how Runtime works. In short, the technology won't only detect, but also contain and stop attacks, which Calce said differs from competitive offerings in the market. Meanwhile, HP continues to build security solutions around its expanding suite of devices, with the vendor shipping the largest numbers of PC during the first quarrier of 2018. According to Gartner findings, the vendor shipped 12.86 million units during the period. Samira Sarraf attended HP Evolution 2018 as a guest of HP.